Almost all the posts you see on this blog focus on what to do after you have completed writing your book. Some focus on writing query letters, pitching to literary agents and publishers, dealing with rejection letters. There have been none on how to improve your creative writing skills. All this while we’ve been ignoring the big elephant in the room – bad writing. That’s a big reason why many authors get rejection letters from publishing companies and literary agency. We’ve been assuming that the completed book is perfect shape. But most books are far from that state. Ironically, a whole lot of well-written query letters push not-so-well-written books in front of publishers and agents. While we console ourselves that the rejection letters are pouring in because of evil editors and disinterested agents, we often fail to critically look at our own work. Was the writing quality good in the first place or was there scope for improvement? Maybe your friends and family who read the novel loved it and encouraged you to get it published. But how would a professional evaluate your creative writing skills? While my entire focus of this blog was on the post-writing phases, I’ve shied away from talking about creative writing skills, working on the plot, developing characters, avoiding clichés and many other topics that are extremely crucial for any novel. I have had no formal (or informal) training in the art. I’ve written a non-fiction book that has got a fair bit of success. But that’s not because of the brilliant quality of writing. Non-fiction works differently compared to fiction. Writing styles are important, but the credibility, practicality and relevance of the basic ideas and the messages communicated are more important. I think fiction is tougher. If you are writing novels, as opposed to non-fiction, be aware that the calibre of writing out there is phenomenal. And that means the competition is cut-throat too. That is why I am more at home with the non-writing aspects (commercial, marketing, book promotion, platform building etc). All these factors are important, but only after you’ve taken care of the writing quality. Many readers of this blog reached out to me requesting for tips, ideas and in fact book reviews as well. And I’ve always use variations of ‘Not now’ and ‘Not me’ to turn down all requests. But I’ve been thinking of what else to help out all the folks who genuinely need help. For time and (lack of) expertise reasons, I couldn’t cover those topics here. The focus of this site would be on practical tips and ideas that writers can use across all genres – fiction, non-fiction, articles for newspapers / magazines. Apart from the advisory (how-to) posts, we’ll have interviews with some really interesting folks, including the movers and shakers of the Indian publishing industry. While I’ll manage all the behind-the-scenes aspects of running a site (and the occasional post), the advisory and editorial content will be managed by Lavanya Shanbhogue-Arvind (here’s –> more about her). 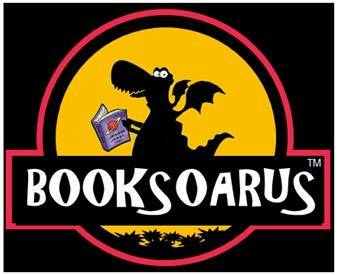 Here are a few posts that we’ve already published on Booksoarus. Please check out Booksoarus and let me know your thoughts on whether you find the idea interesting and what you’d like to read about. Don’t forget to sign-up for the email subscription there to get new posts in your inbox, as we’d be having more action out there than on this blog. Let’s try to see how we can reduce those rejection letters from publishers and literary agents. I look forward to seeing you in Lavanya teacher’s class on Booksoarus. I really love your blog sameer you are doing great work here continue your work.. I have written 3 novels , twenty short stories n many poems but all editiors n publishers reject my proposal .. i dont know wat to do?? @Krishna: Thanks for your kind words. 3 novels! Plus all the short stories and poems too. That’s a lot of writing, bro, and a passionate one too. I think it might be a good idea to take a step back from your writing (introspective and analytical breaks are always good) and try to find out where things are going wrong. – Is it the writing part? – Is it the promotion part? I know you’ve been a long-time reader of my blog posts on this site. So plenty to think about. Balance out the writing with the selling aspects. Something that writers often struggle with. I have written a novel based on 3 medical college students….. Thanks for the wonderful tips you provide on your site. 2) Author-bio is supposed to be written in 3rd person but, few says for Query letter or for Journals it should be in 1st person voice. pls advice. Thanks in advance for your great help. @Rajani: I’ve published a post on How to write a Query letter for your book? which you might find useful. It’s a creative product that you are trying to sell. So, feel free to be creative with the format. There are no hard-and-fast rules about 1st & 3rd person narration. Thanks for the wonderful tips for the newbies like me. I am through with my first non-fiction , self-help book and signed with self-publishing agent. 1. How to get reviews before book launch? 2. Whom to ask for reviews, Goodreads or people personally or it’s the job of publisher? 3. How to share the book news in Social media like facebook before launch? 1. You could share review copies of your book several weeks before the launch date. Ask them to write the review and hold on to it till the date of formal launch. 2. Try to reach out to reviewers with a good social network and an interest in your genre. You’ll find many influential reviewers on Goodreads. Tap into your own network of contacts as well. 3. Create a Book Page on Facebook. But going back to point 1, don’t post reviews before the D-Day. Check out the FB pages for Beyond The MBA Hype and Business Doctors for some ideas. sameer sir Ur doing really great job. people like u are rare today all world is full of vultures and fox who are snatching innocent people .Ur an angel to the new and dreamy writers .i did an m.a in English literature i am now working as lecturer in college. But my ambition and aim is to become successful novelist . i am going to write a hard hitting novel on indias bad education system ,fake institutes and high educated unemployment. i am doing research on it and i will complete my novel in jully end .so my question is sir what i have to do after completing the novel .How much time it will take to publish and will it publish in UK and Us .last question can self published novels nominates for literary prize like Booker etc. please guide me sir i am scared about publishing houses. i am leaves in village in satara district. sir keep Ur work like this i am sure u will go on long long way this is my prayer to god . I am a language trainer and recently I have realised that I am also interested in editing.. I am taking training for that. Can you please guide me about the rates for freelance editing. I want to ask if is it okay if I send ANY three chapters of my novel (Fiction) to publishers for review? Am I supposed to send ONLY the FIRST THREE chapters? I find your tips quite interesting. I have written a book of folktales—the tales I lived and grew with at my village. Let us see …. Thanks for all the inputs shared by you on your blog. I just started writing something, and so far I have written 4 pages of it and the word count is close to 2, 400 words. It mind sound silly to you but is it a good idea to break the story into chapters as and when possible? I’m writing an elaborate story. Any advice on how to maintain the pase of the story and at the same time not to lose the meaning of the story I’m writing. I would be much obliged for your guidance and expertise advice in this domain.